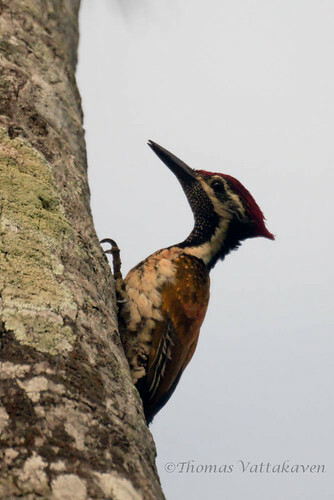 The Black-rumped Flameback or Lesser Golden-backed Woodpecker (Dinopium benghalense) is the most common woodpecker to be seen around Karimannoor. 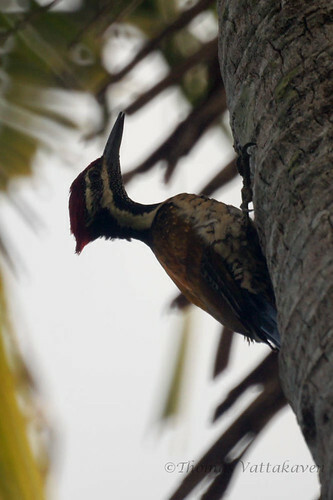 It differs from the Common Flameback in that it does not have the moustachial streak (a thin black streak beginning at the end of the beak and travelling downward to the neck). 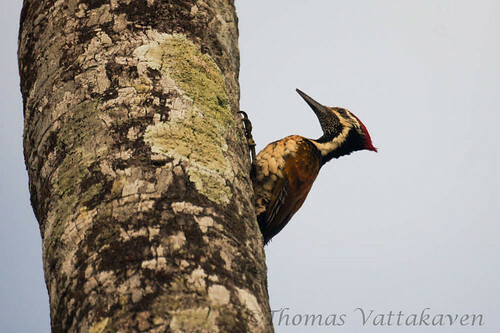 Furthermore, it is the only goldenbacked woodpecker that has a black throat. The photos seen above are of that of a male, while those below are those of a female. 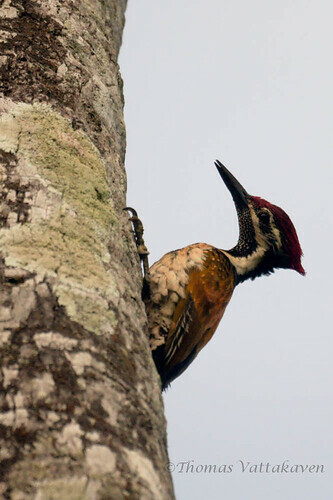 The difference is that while the red on the head of the male stretches from the forecrown to the rear, the female has a black forecrown, spotted with white and the rear crest only is red. 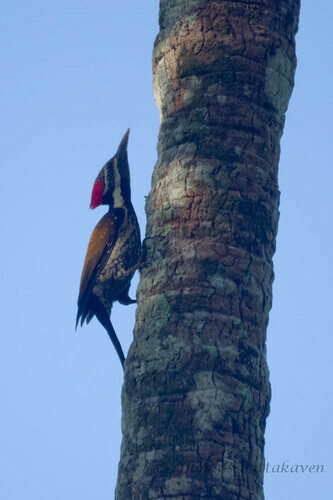 In Karimannoor, the birds are frequently encountered, moving upward along the trunks of Coconut trees, towards the canopy, as they forage for insects. As you can see in the images above and below, they use their tails for support as the move up. 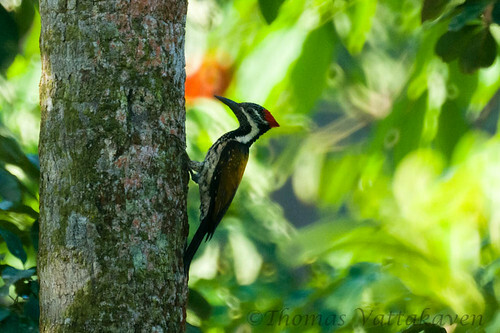 These birds are shy and will often hide by moving behind the tree trunk to keep out of sight. Most of the birds photo here same as Malaysia species.